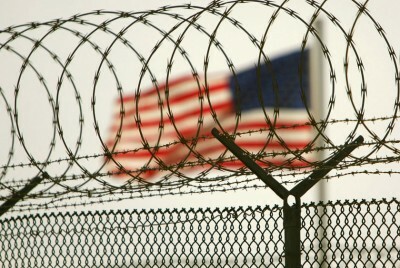 Many thousands of political prisoners languish in America’s global gulag. They do so unjustly. War on terror victims increased earlier numbers. Muslims are mostly affected. They’re wrongfully vilified. They’re persecuted for their faith and ethnicity. At times it’s for their activism, prominence and/or charity. They committed no crimes. They continue being hunted down, rounded up, detained indefinitely, isolated, denied all rights, convicted on bogus charges, and imprisoned longterm. Two victims seek redress. They want their convictions overturned. They have every right to demand it. Both are now free. One is David Hicks. His book titled “Guantanamo: My Journey” discussed his nightmare. He’s a native Australian. He converted to Islam. He changed his name. He became Muhammed Dawood. He went to Afghanistan. He was captured by Northern Alliance forces. He was unjustly linked to Al Qaeda. He was sold to US forces for bounty. He was tried in a kangaroo military tribunal. He never had a chance. He was held at Guantanamo for over five years. He was prisoner number 002. He arrived on January 11, 2002. It was the day the facility opened. He was accused of being an “unlawful enemy combatant.” It’s a long defunct WW II relic. It’s a term with no legal meaning. The phrase “unprivileged enemy belligerent” replaced it. Language changed but not intent, lawlessness, or longstanding US viciousness. Hicks faced gross injustice. The Military Commissions Act (MCA) grants sweeping police state powers. They have no legitimacy whatever. They reflect gross injustice writ large. Guilt by accusation suffices. So does hearsay. Coerced confessions became standard practice. Judicial fairness is verboten. It’s denied. International laws afford no protection. Torture became official US policy. Anyone can be detained indefinitely, charged or uncharged. Speedy trials are denied. International laws prohibiting torture don’t matter. Nor do US Supreme Court decisions calling coerced confessions inadmissible. Anything goes is policy. Hicks was wrongfully convicted of providing “material support for terrorism.” It’s a charge with no legal meaning. When abducted, it didn’t exist. It was invented in 2006. It was done to prosecute others like him. It can’t be applied retroactively. Hick’s plea was involuntary. In early 2002, he filed the first ever habeas petition. It challenged Washington’s right to detain him without due process of law. In Rasul v. Bush (2004), the Supreme Court rejected indefinite extrajudicial Guantanamo detentions. It ruled they may challenge them in civil court. In response, Congress enacted the 2005 Detainee Treatment Act. It subverted the ruling. In June 2006, the Court reacted. In Hamdan v. Rumsfeld, it held that federal courts retain jurisdiction over habeas cases. In response, Congress passed the 2006 Military Commissions Act (MCA). It granted extraordinary unconstitutional powers. Guantanamo detainees lost all rights. In October 2012, the US Court of Appeals – DC Circuit ruled in Hamdan v. United States (Hamdan II). (1) Military commission authority had no legitimacy to convict him for material support. (2) His guilty plea was involuntary. It was obtained under torture. He wants his wrongful conviction reversed. He wants his name cleared. On May 20, 2007, he was released from Guantanamo. He was imprisoned for seven months in Australia. He partly free. His sentence was suspended. His ordeal continues. He lacks justifiable redress. On November 5, he appealed his conviction. He seeks a summary order reversing it. Under Hamdan II, he’s entitled to it. His appeal and request are pending. He speaks openly about what happened. He does so candidly. He wants others to know. Everyone should know about America’s dark side. International, constitutional and US statute laws don’t matter. Anything goes is policy. War on humanity rages. Global victims suffer horrifically. Mainstream media pronounce them guilty by accusation. They ignore them in captivity. Attorneys Stephen Kenny and Joseph Margulies represent him. They have little faith in military commission justice. It’s a “necessary step,” they say. He and his family look forward to that day. He’ll always be wrongfully considered an enemy combatant. He’s vulnerable to rearrest. American authorities can do so if he leaves Australia. US-designated “enemy combatants” have no rights. Hicks was brutally tortured and abused. He was viciously beaten. Once it continued for 10 hours straight. He was injected with unknown drugs. He was sodomized with a foreign object. He was subjected to sleep deprivation. He was exposed to extremely cold temperatures. He was blasted with loud music and strobe lights. It was done to entirely disorient him. He was interrogated nearly every day. He suffered extreme pain. So did others like him. Their crime was being Muslims in the wrong place at the wrong time. He was sent home to spend months more in an Australian prison. It was that or stay in Guantanamo forever. He was released in December 2007. A gag order prevented him from speaking publicly for a year. An agreed on plea bargain required he withdraw any torture charges. He had to renounce any future legal action against Washington. He wants his wrongful conviction overturned. He wants long denied justice. He deserves that much and more. Omar Khadr is a Canadian citizen. He was the youngest victim America targeted. On July 27, 2002, US forces abducted him. They did so in Ayub Kheyl, Afghanistan. He was caught in a gun fight. He was shot twice in the chest. He was blinded in one eye. “Charges and trials of juveniles are utterly illegal. Top that off with torture” coerced confessions. Obama operates as ruthlessly as Bush. Khadr’s appealing. He wants his conviction overturned. On November 8, CCR said he’s is falsely charged with “material support for terrorism.” As explained above, no such crime existed at the time of his arrest. He pledged to close Guantanamo. He said so straightaway in office. He could do it with a stroke of his pen. It remains open. Renovating it is planned. Khadr was Obama’s first military commission trial. Francis Boyle calls them “kangaroo courts.” They have no legitimacy. They mock judicial fairness. They’re too deeply flawed to be fixed. In 2002, Khadr was severely wounded. He was hospitalized at Bagram airbase. He requested pain medication. He was refused. Interrogation began almost immediately. A bag was placed over his head. Dogs were brought in to frighten him. He wasn’t allowed to use the bathroom. He had to urinate on himself. He was brought into interrogation rooms on a stretcher. He was in great pain. Torture made things worse. Hicks, Khadr and numerous others like them bear testimony to longstanding US ruthlessness. In many respects under Obama, it’s worse than ever. His war on humanity at home and abroad explains.